We’ve cracked deals with service providers of all kinds on your behalf. Enjoy these freebies for everything ranging from HR services to cloud computing, legal help and even accommodation. Members get cloud credits upto USD $3000 along with the premium business support worth $5000 for 2 year from AWS. Atom is helping more than 100, 000 merchant collect payment fast and easy online and offline. Provides PCI DSS v3.2 Security, faster integration and high transaction success rates. Some of clients are IRCTC, Flipkart, Lufthansa, BigBazaar, Shoppers Stop, Sikkim Manipal University and many more. Free transaction Limit Up-to 3 lakh on DC/NB/UPI. Except CC/Wallet. After 3 lakh Transaction Limit TDR Charges Applicable. Click here for exclusive pricing for 91springboard members! Members get credits upto USD $1000 for 1 year from AWS. Get up and running in the cloud. Bring your favorite open source software tools and technologies to Azure and explore the possibilities. Free seat selectionAll this comes with the lowest prices in the market or at least the regular prices with the above mentioned benefits. As part of our endeavor to continuously help you simplify and automate your compliance processes, we have partnered with ClearTax – India’s largest e-filing website. ClearTax’s Solutions can help automate compliance at scale. 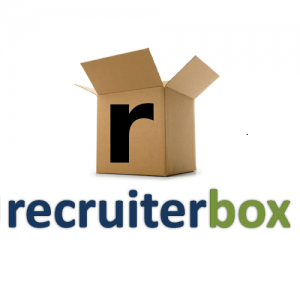 CutShort is an AI based recruitment platform used by over 10000 companies. 91springboard members get 50% discount on first upgrade. Exotel is a cloud telephony system that allows businesses to manage their customer voice & SMS communication. It is offering their Exotel Startup Pack, which would enable you to enjoy benefits like IVR, Smart Call Routing, Missed Calls, Toll Free Numbers, Call Recording, Call Transfer, Multiple Extensions, Call Logs and Call & SMS integration and much more. Finly is a scalable & intelligent Spend Management System that removes all hassle of filling out expense reports, disbursing cash, tracking and controlling spends, managing receipts, processing reimbursements, processing vendor payments. It manages your Business Spend while helping you focus on what’s more important, like scaling your Business. In parallel, we provide access to all our Banking APIs: Prepaid Card, NEFT/IMPS/RTGS, and APIs to collect payments. A free 3-month subscription under our Premium Plan. Waiver on Maintenance fee for 1 Year. Free Integration with your Accounting System: Tally, QuickBooks, SAP, Oracle, Microsoft Dynamics. Dedicated Account Manager along with free consultation on how Business Spend processes can be completely automated. All in one helpdesk solutions at 20% exclusive discount for 91springboard members. Freshdesk is an easy to use helpdesk software that enables teams to handle conversations from multiple channels such as email, phone, chat and social media. It also focuses on enabling cross-functional team collaboration to deliver exceptional customer support. With Freshsales CRM, your team can now use AI-based lead scoring, built-in phone, email, activity capture and more. 20% discount for 91springboard members. Groww makes investing very simple and transparent. Investing is for everyone!! Your account set up and investments are 100% paperless and free. You will get free sessions with the Experts to help you select best plans for your needs. You will receive regular statements, tax-proofs and capital gain computations. They offer 3 months of free Plus subscription to 91springboard members. Hubwords is a boutique creative shop with with experience in content services, PR, Digital marketing and branding. They help build your web footprint with great content and creative digital marketing. 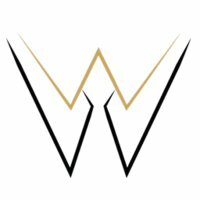 Free online PR for limited period on their website. It promotes entrepreneurship and startups, and cost effective PR and advertising. Opportunities for getting profiled in print and online media publications with which the Hub Words is associated with. IBS Consulting is a trusted partner that helps you in expanding to markets abroad such as UK, Southeast Asia, South Africa. Instamojo is a digital payments platform bundled with tons of e-commerce features to enable any business or individual to sell, manage & grow effortlessly, securely and cost-effectively. They have positioned themselves as the “simplest payment solution” where they have removed barriers of entry like technical know-how, upfront costs, providing access to distribution channels on web & mobile through various up-selling & cross-selling e-commerce tools & features; thus boosting time to market for small and newer businesses to sell & collect payments, manage & grow rapidly. Instamojo provides a pervasive & persistent real-time payment solution suited for Indian start ups, SMB’s, individual online merchants and others currently underserved by traditional payment mechanisms. A 91springboard member gets 150 free transactions valid for a period of 2 months from the day of sign up. a 9 months free trial period. A 50% discount on the subscription for the second year. On-boarding support from our QuickBooks experts for a seamless set-up. Knowlarity is the leading provider of cloud telephony in Asia and provides the most comprehensive communication tools including IVR and cloud connecting facilities for SMEs, enterprises and individuals. The company makes cloud telephony between businesses reliable and intelligent by providing a suite of hosted products that help businesses improve their productivity. Calling credits worth Rs. 400 each month. Loans4sme helps high growth companies with their loan requirements. We work with companies across India for their working capital and growth capital needs. Products offered by Loans4sme include business loans, invoice discounting, order and supply chain linked finance, operating leases and long term project funding. MSG91 is a global enterprise SMS solution provider. 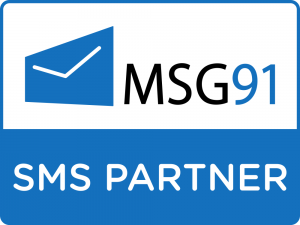 MSG91 works as a communication bridge between organizations by providing them comprehensive messaging solutions. Founded in 2010, they currently serve 10,000+ customers. Get 1.5 lacs free SMS for a period of 6 months! mTalkz operates in the communication space and offers the country’s best platforms for SMS, Email, Social media, Secure API’s Voice Mail Communications and Marketing integration platforms. Get 1.5 lacs free transactional SMS and Emails for a period of 6 months! MyOperator is a cloud based call management system to help businesses manage and track their daily call communication (Even incoming/outgoing calls directly over the mobile phone). Opfin is an automated payroll service for small and medium-sized businesses in India. Opfin reduces the entire payroll process to a single payment and a button click. 91springboard members enjoy a flat 15% discount. Oyo Rooms is India’s largest hotel network spread across 230 cities with 8500+ hotels offering standardized and hassle-free stay experiences at an unmatched price. 91springboard members enjoy up to 15% discount on the corporate pricing. PayU enables merchants to collect payments online with best in class features. No Setup Cost, no annual maintenance and zero TDR for first 6 months or 3 Lacs worth of transactions (whichever is earlier). Overcome the Fear and Stress of a Wrong Hire with People Source! 15% off for 91springboard members. QuezX brings employers and recruitment consultants on a single platform to provide best candidates for the open positions with exclusive pricing for 91springboard members. Rightsketch is the authorized reseller for Devine tools in India and the Middle East. Upto 25% discounts on standard pricing. SalezShark is a business intelligence enabled CRM that empowers you to improve your sales and marketing processes by providing you with tools that help you save time and increase productivity in no time. 91springboard members get the basic plan free for the first 3 months. 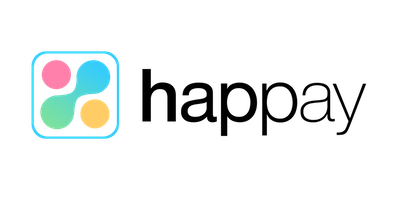 SendGrid is the world’s largest Email Infrastructure as a Service provider. As a 91springboard member you can avail Sendgrid Silver ($ 79.95/month equaling 100,000 E-mail Credits/month) for 6 months for free . As India’s first mattress-in-a-box, SleepyCat deliver the ultimate sleep companion in a convenient box straight from the factory to your doorstep, and you save up to 75% on retail costs. SleepyCat mattresses are backed by extensive research, and come with 30 nights free trial and a 10 year unbeatable warranty. If you don’t like it, the mattresses can be returned, no questions asked. A host of flexible and easy-to-manage employee benefit solutions including India’s most trusted digital meal card – at a discounted charges of 50% off on the card, and discounted charges for 91springboard members. Implement dynamic features of Solutions Infini in your business and discover how effortlessly some of the top brands innovate their mechanisms and reach out to people. They have been working with over 1000 brands including Paytm, Ola, Swiggy, Teabox, Flipkart, Myntra, Redbus, etc. 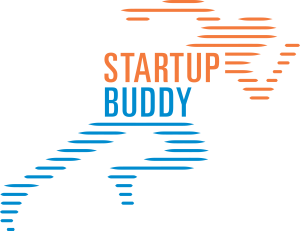 Startup Buddy is a one-stop shop offering end-to-end solutions of financial and startup advisory services. 91springboard members get a flat 25% discount. Swipez streamlines and automates single and bulk invoicing, payment collections, mass payouts, GST filing & customer data management. Treebo Hotels are top rated budget hotels in 53+ cities in India. Members get a flat 25% discount. The Words Edge is a new-age Online Marketing Company. We help Startups and SMEs in various growth stages, to drive marketing goals through cutting-edge Content at 40% on standard pricing. Our online platforms include Websites, Social Media, Press Releases, YourStory posts, Blogs, Emailers etc. Solutions that blend creativity with relevance so that Businesses can reach every touch-point in the buyer’s marketing journey. Website, App, Social Media, Blogs, Emailers, eBooks, Case Studies, Guest Posts, Digital PR etc. Avail a wide range of services to meet all the legal and professional needs of individuals and businesses alike, such as: legal guidance, property assistance, estate planning, contract drafting, government registrations, tax filing, business incorporation, accounting and compliances. All the 91springboard members can avail these services at an exclusive discount of 15%. Get the best Cloud apps: Manage your business with world-class Vodafone CloudStore applications – Vodafone CRM, Mobile WorkForce Essentials and G Suite. FREE one-month trial! Wishup Offers Virtual Assistant with a flat discount of INR 2000/- for first purchase to 91springboard members. Zoomcar provides you with Self-Driving car services at an exclusive discount of 20%! Read More to avail the offer. Think you found your next office space?